We have safely returned back home and I am again in my "nearby district". As in the last blog post, I am showing you a composition that I discovered on the glass panes of the PWC building. 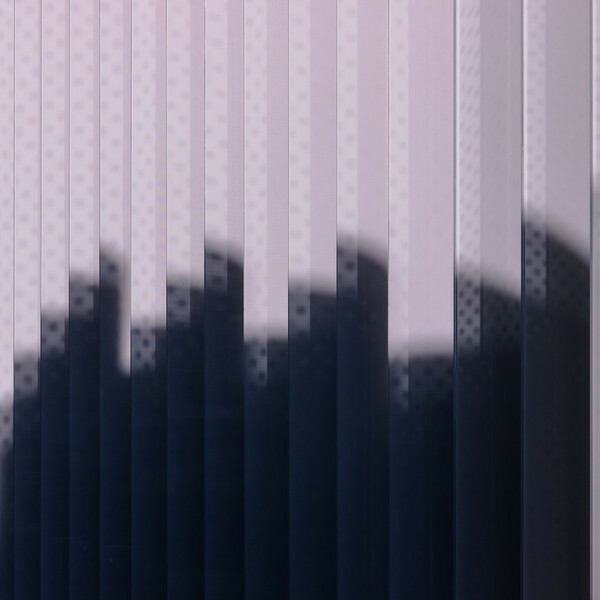 Here, light passing through the perforated imprint on these panes created this fascinating moiré pattern (I think the phenomenon is a moiré pattern, but I am not absolutely certain). I assume that the light responsible for this effect is reflected from the glass panes themselves and then passes through several blinds, parallel to the facade. Therefore, the moiré pattern can be clearly seen in the topmost part of the area in the shadow (I only realized this now, while writing about the photograph). For me, this building is the perfect example how observation and photographing the same subject for several years can lead to ever new discoveries and compositions.